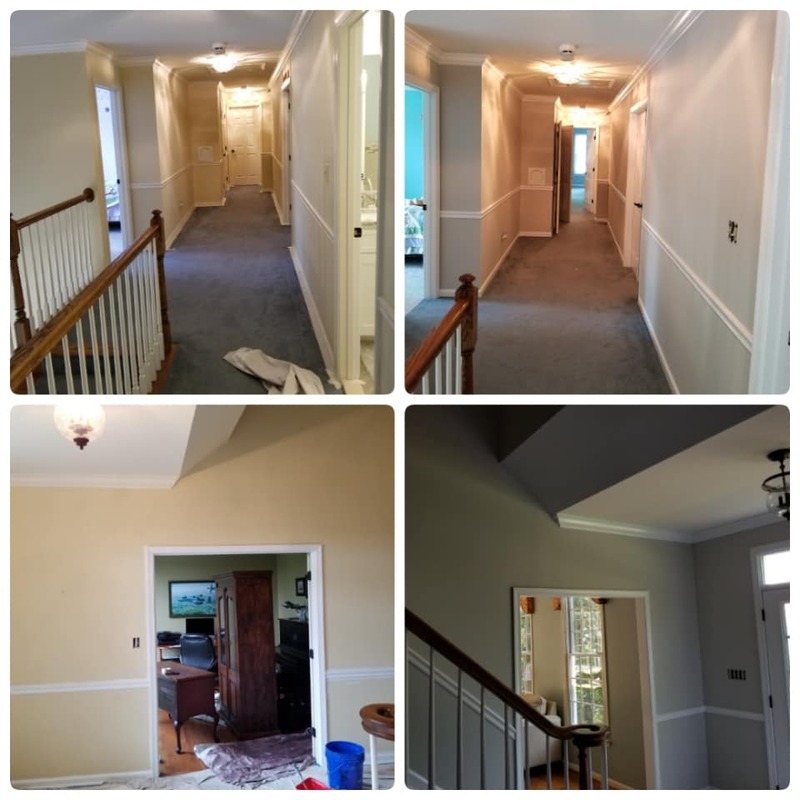 A nice interior painting job for a repeat customer in Reisterstown md. 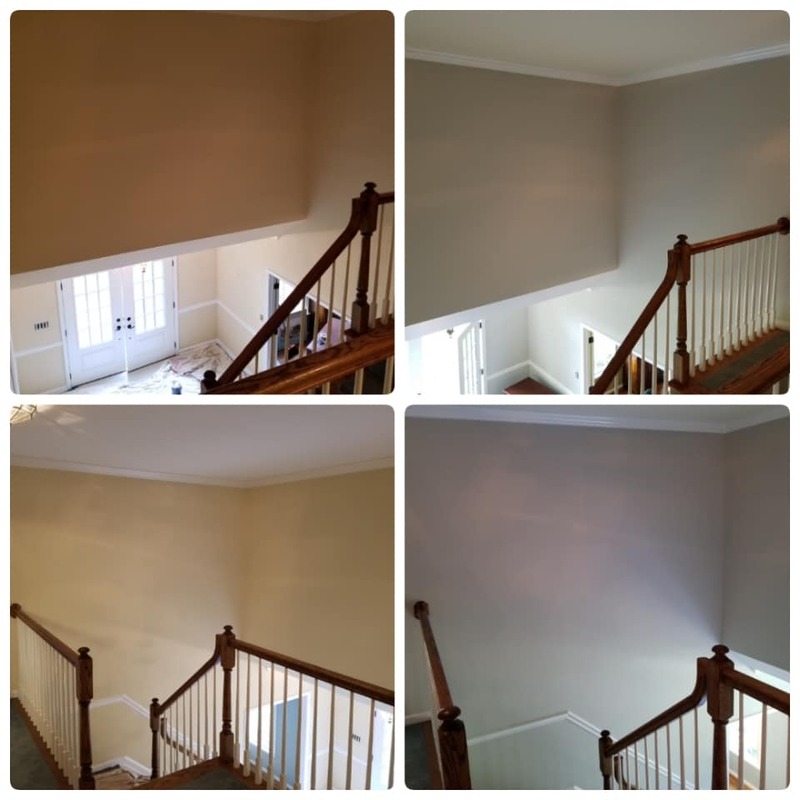 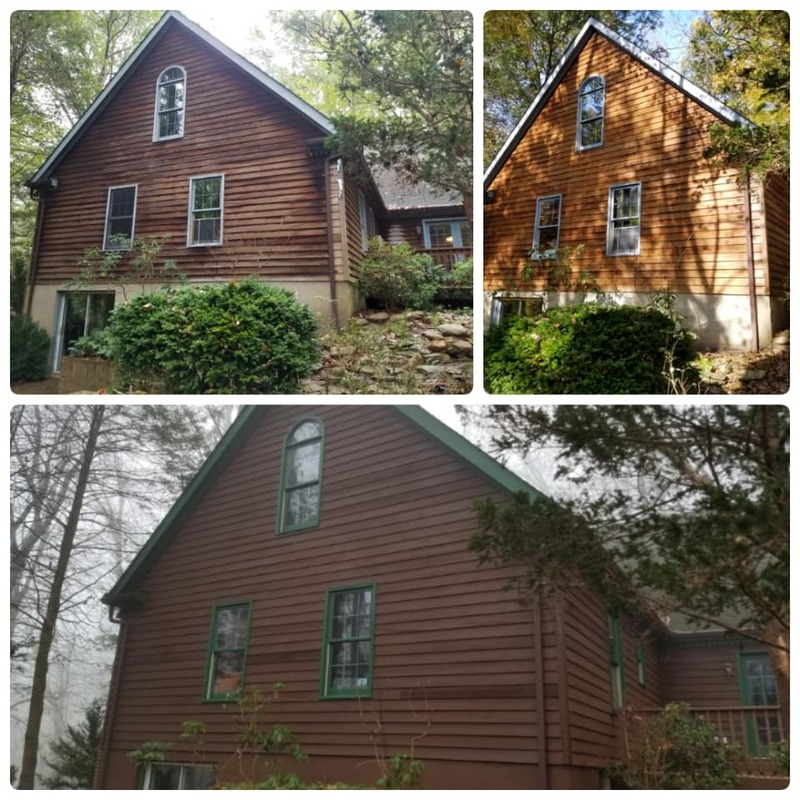 A house staining project we just completed in Phoenix Md. 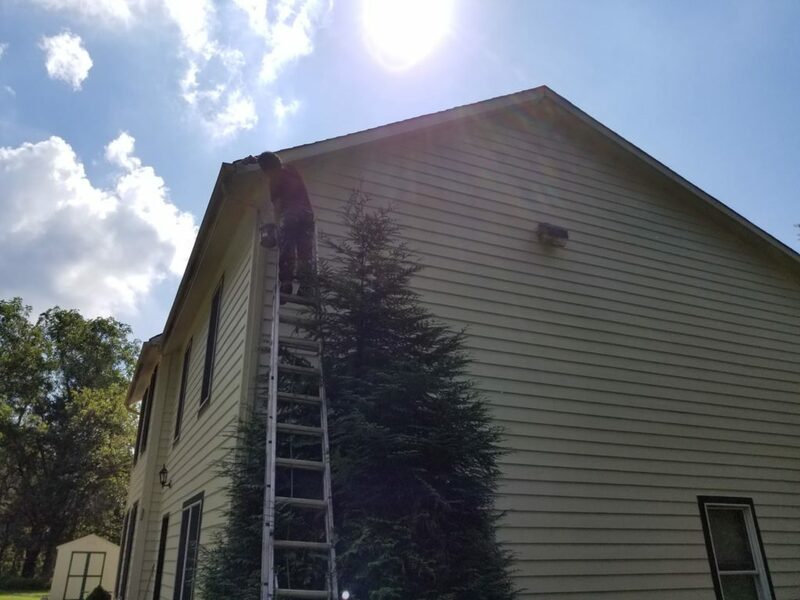 Working around the weather was a challenge but we finished it up today. 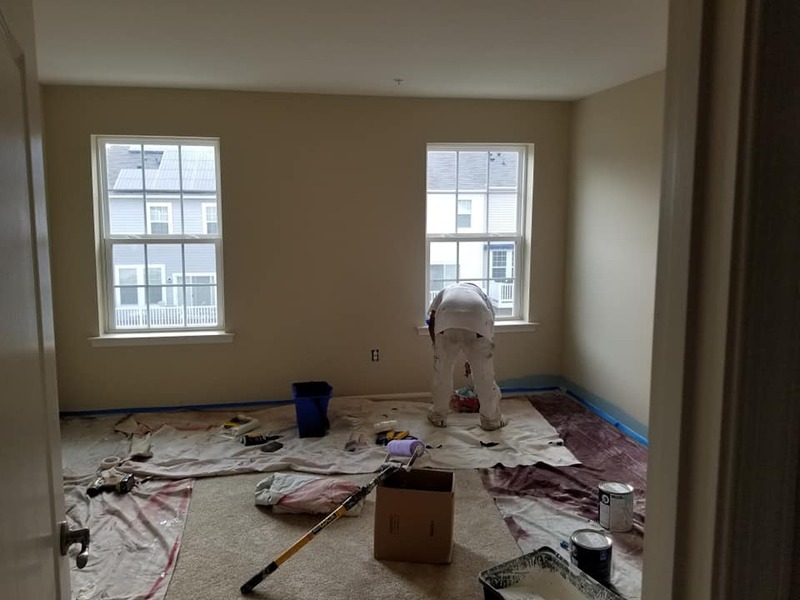 Bedroom painting in Reisterstown. 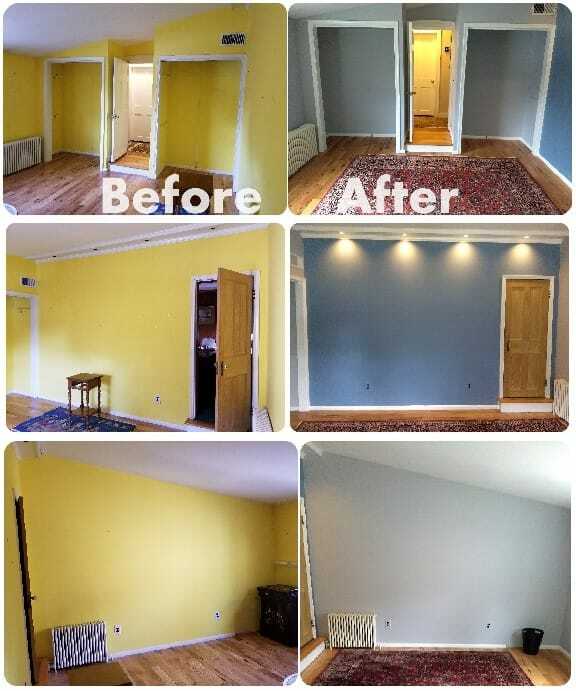 SW Lazy Gray on walls with accent wall SW Baby Blue Eyes. 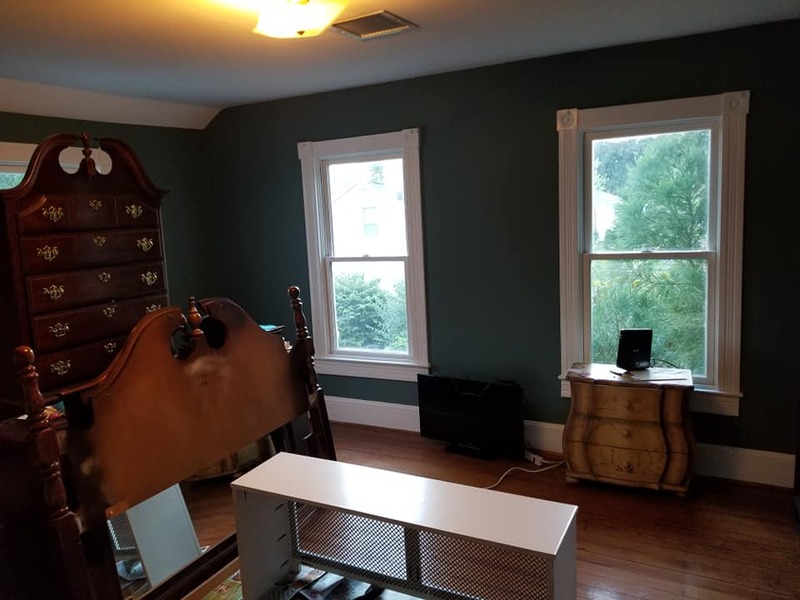 Extra white trim and ceiling. 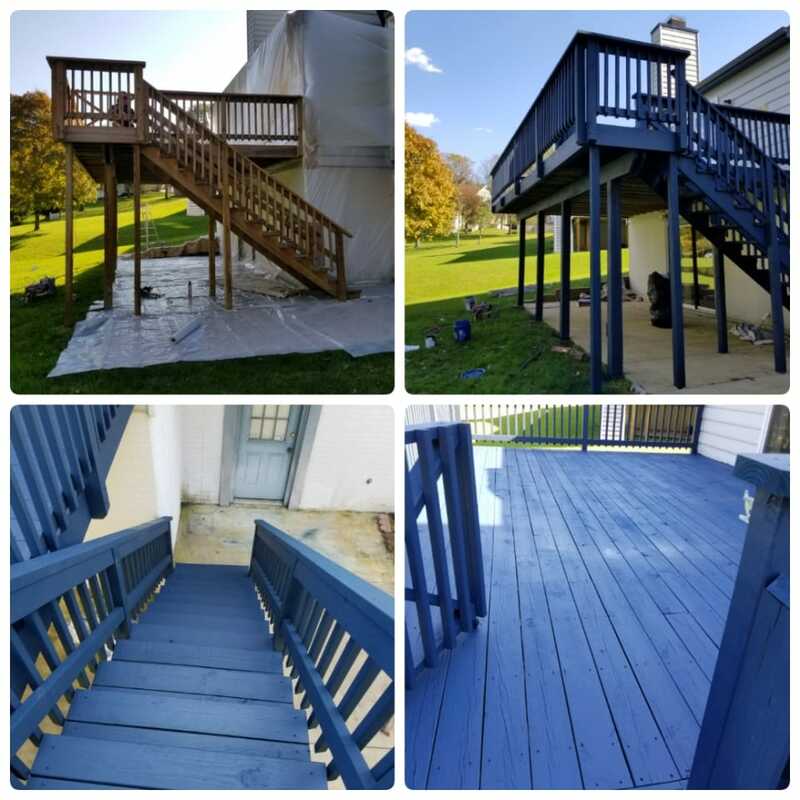 First time staining a deck blue. 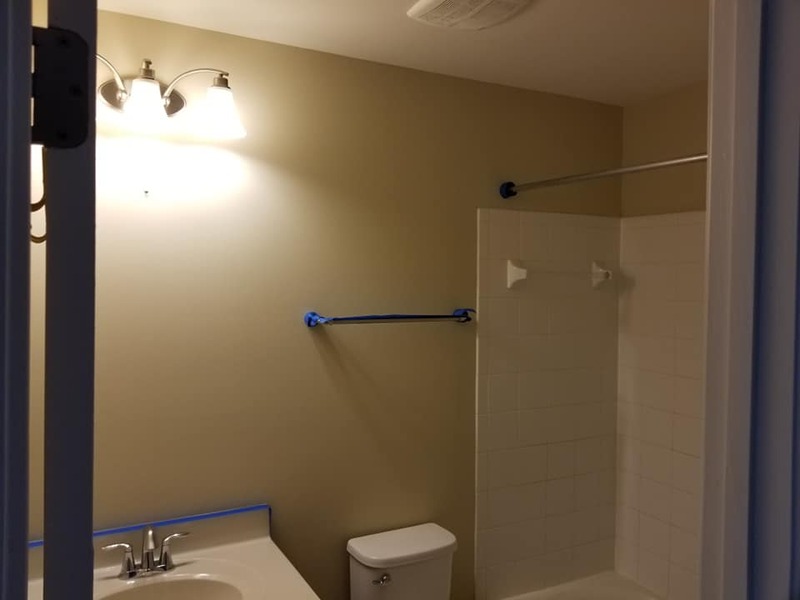 It turned out really good. 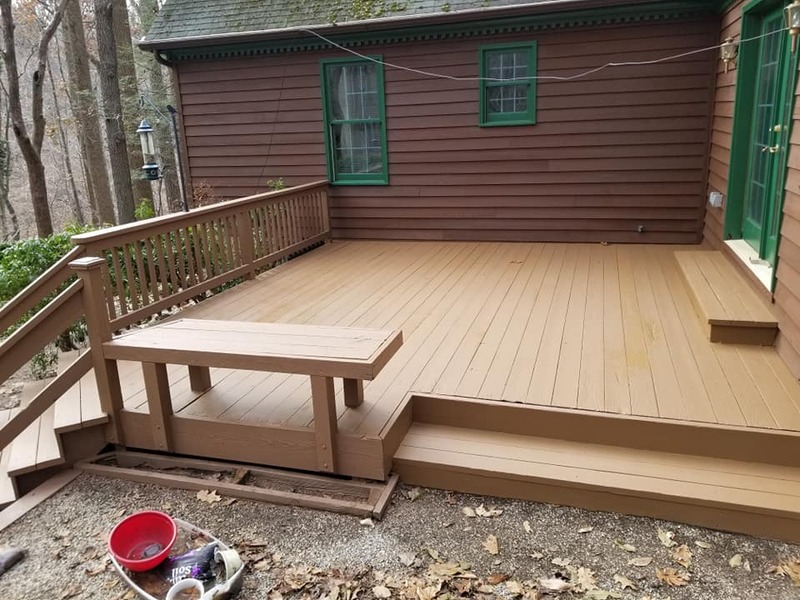 Elliott city deck staining. 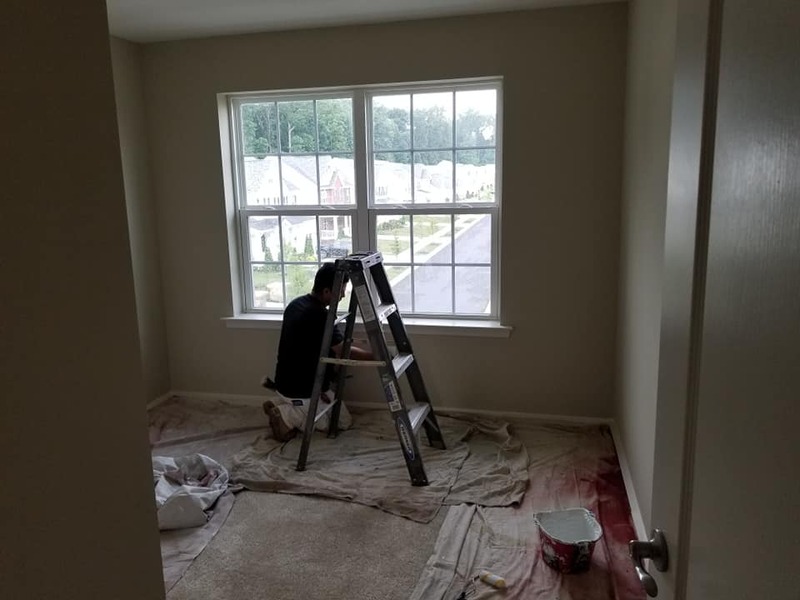 Interior painting in Sparks Md. 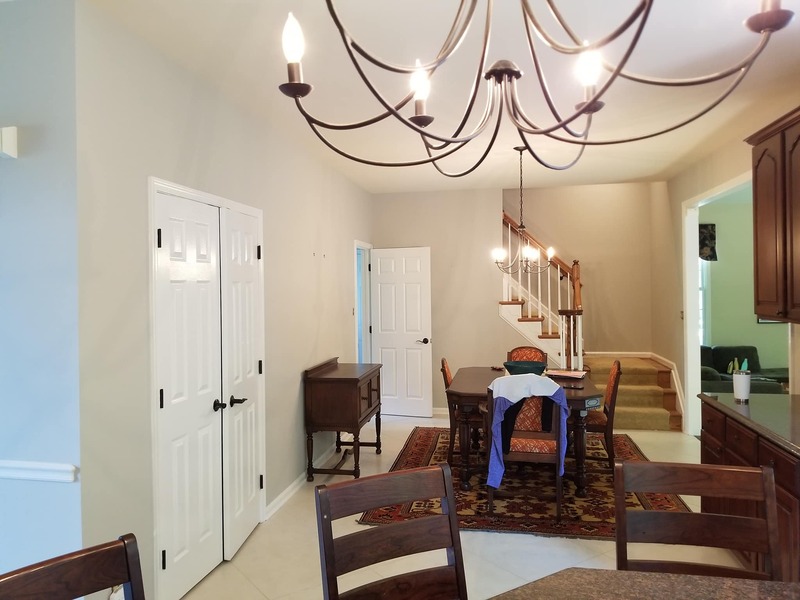 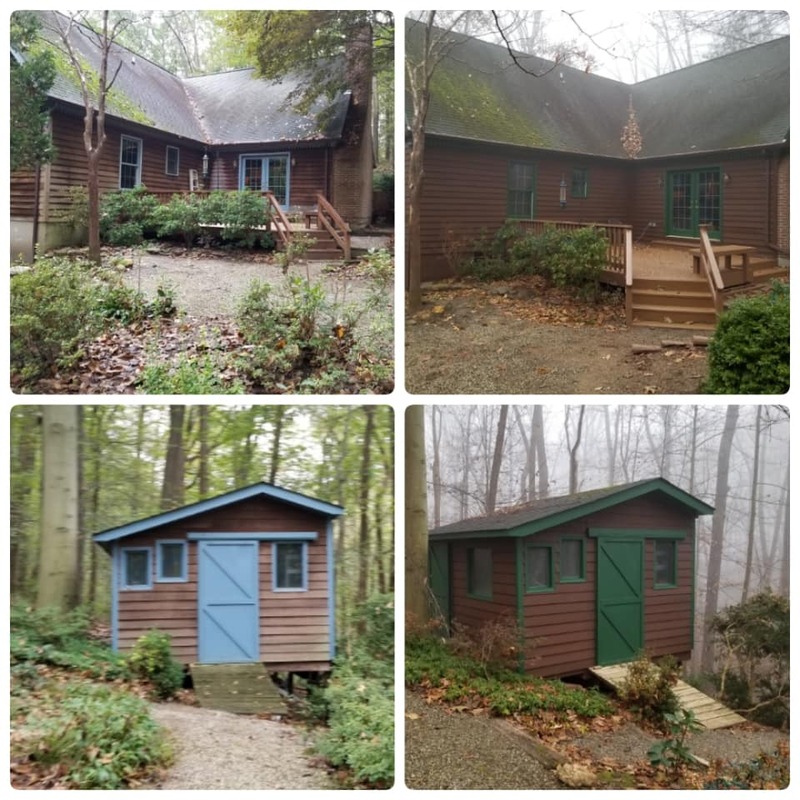 Sherwin Williams Cashmere Matte finish color Repose Grey on walls and Emerald Urethane Enamel extra white semi gloss trim paint. 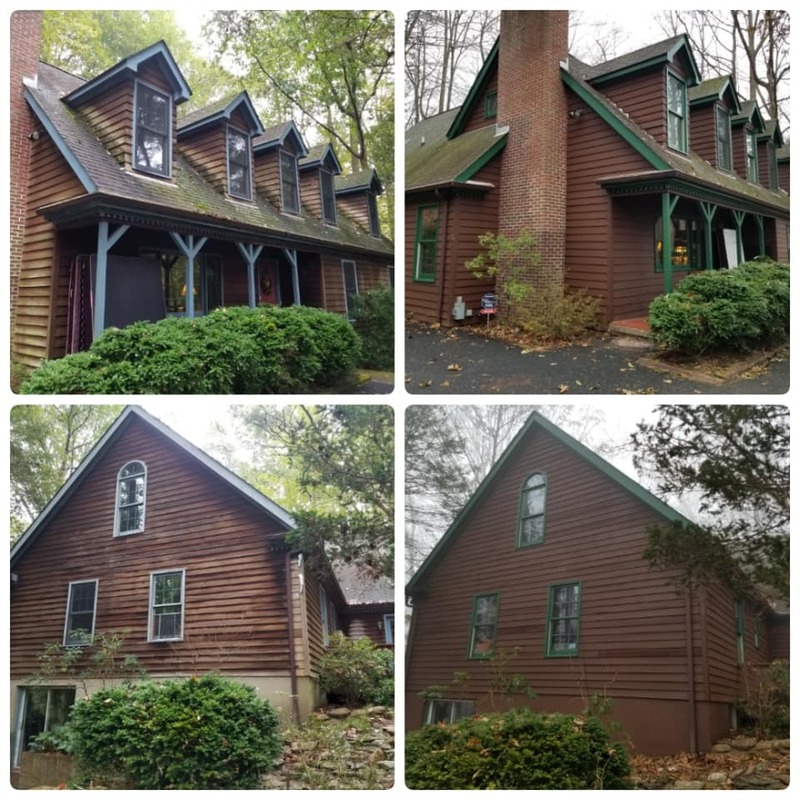 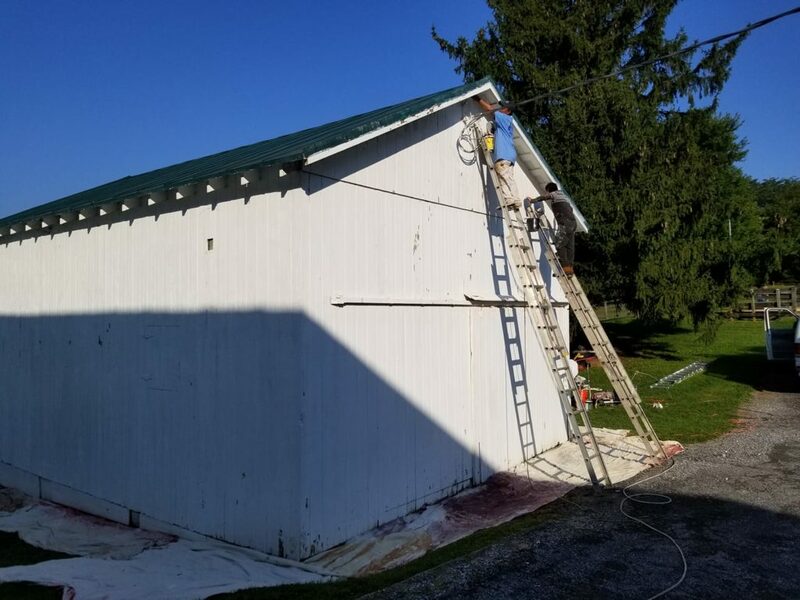 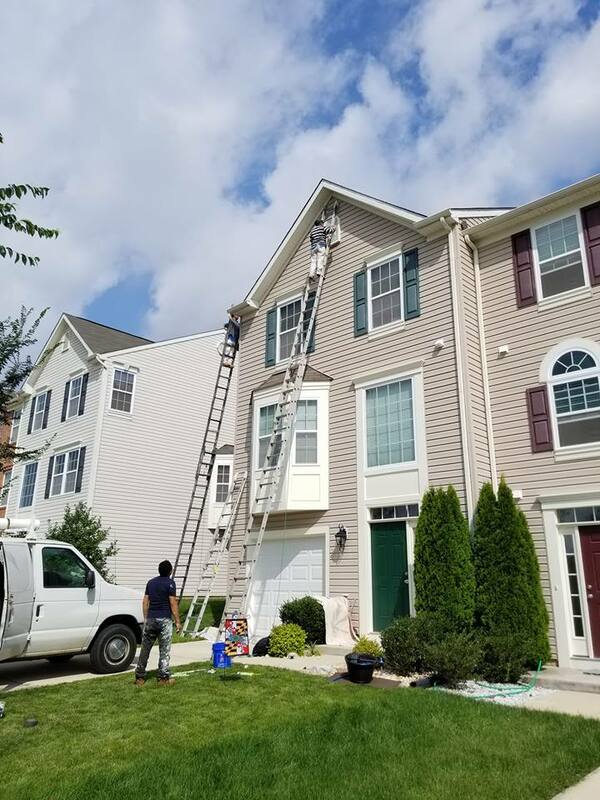 Painting exterior trim today in Reisterstown. 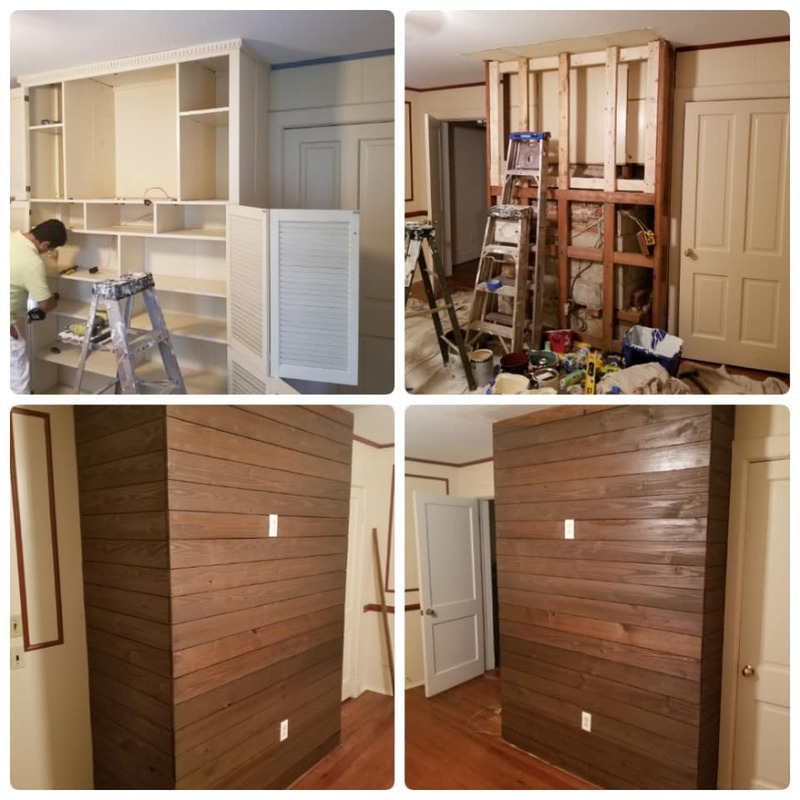 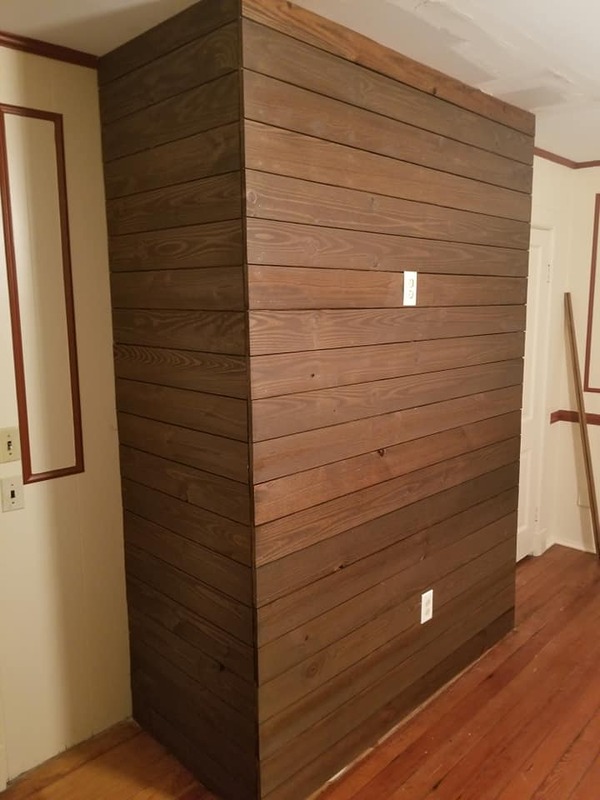 We removed this cabinet that was built around an old chimney and added shiplap to add a little update to this room. 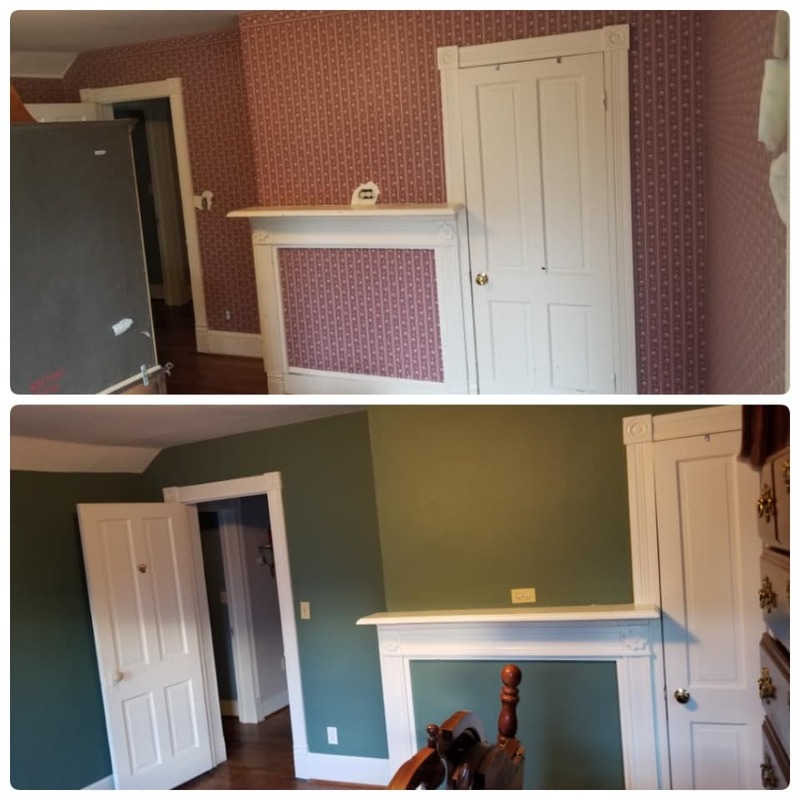 We also painted the ceiling walls and trim. 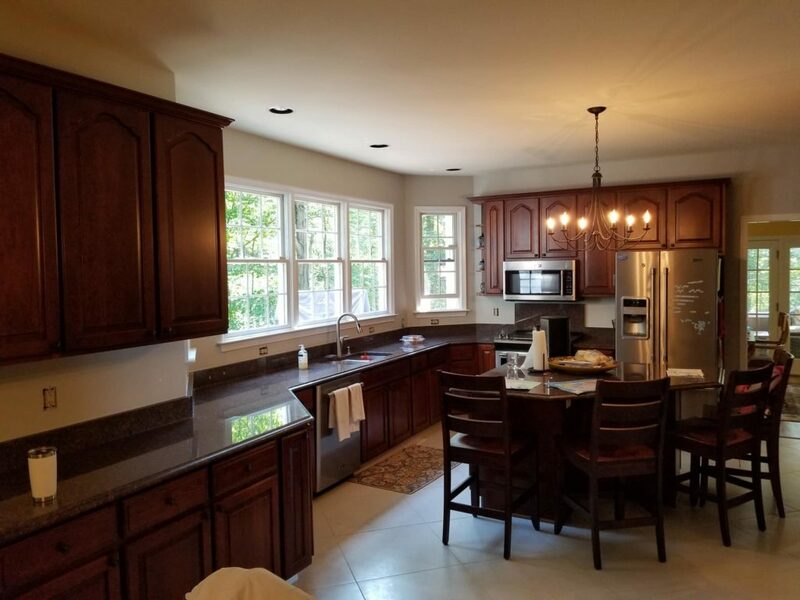 Reisterstown md. 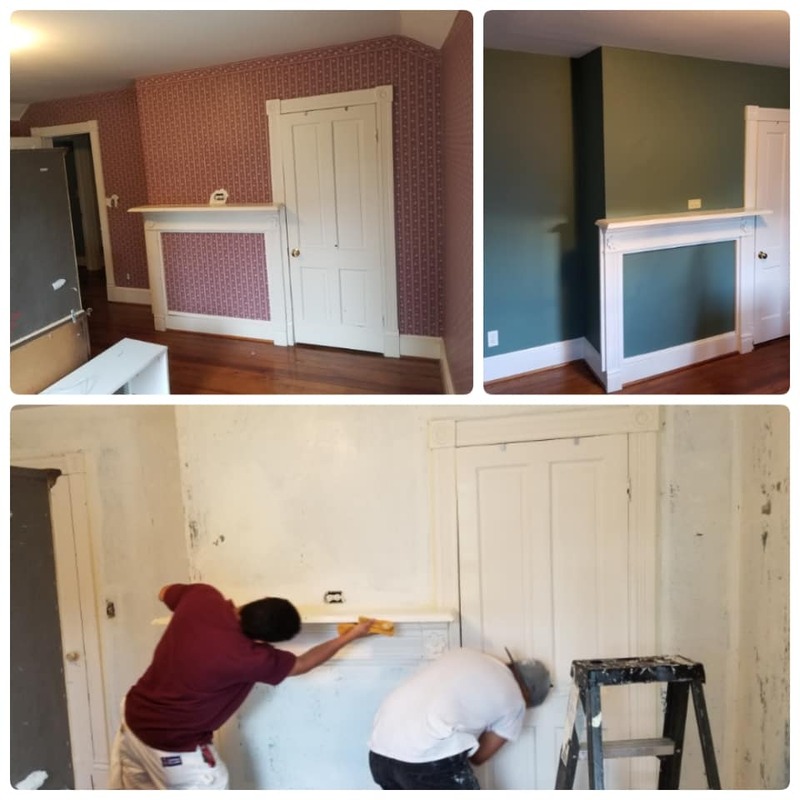 Wallpaper removal and painting of a bedroom in Baltimore Md. 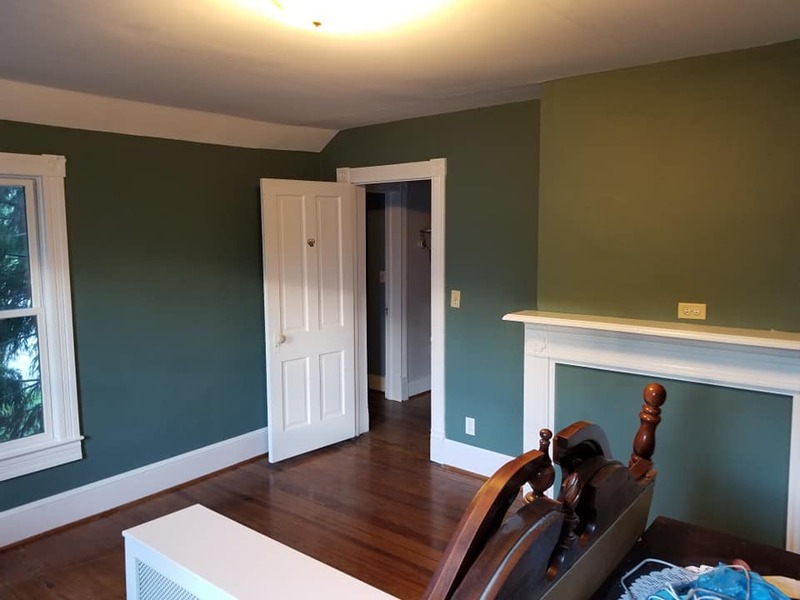 Historic color Studio Blue Green by Sherwin Williams on walls. 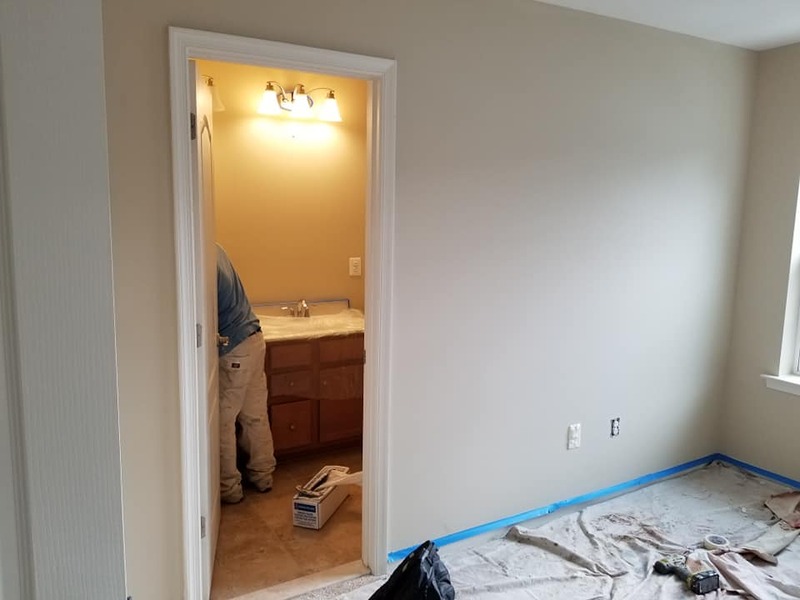 Emerald trim paint extra white on trim.